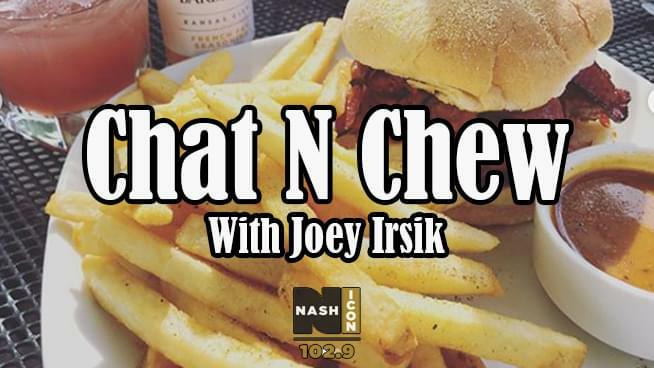 You and a guest could win free lunch at Red Robin Gourmet Burgers with Joey Irsik with Chat N’ Chew from 1029 NASH Icon! Want to to ask Joey about his favorite country songs are? Or his thoughts on the season finale of the Walking Dead, or the time that Taylor Swift told Joey he smelled good? Maybe you want to tell Joey what your favorite design for the new Topeka city flag is, tell him about your awesome bowling score? Chat N’ Chew will be your chance for a great lunch hang while you enjoy a delicious lunch from Red Robin! Enter below for your chance to win lunch from 1029 NASH Icon with Chat N’ Chew. We will pick a winner every week in starting April 8 through May 28. Your browser does not support iframes. Please visit http://1029nashicon.listenernetwork.com/Contest/7YHTRU.